WASHINGTON - As a prosecutor, Robert Mueller took on violent Hells Angels, mob bosses and foreign spies. At the end of his career, he was tasked with hunting the biggest quarry of all: the president of the United States. Named director of the FBI just days before the Sept. 11, 2001, al-Qaida attacks, Robert Swan Mueller III knows well the pressure of being thrust suddenly into the center of a firestorm. But nothing compared to being appointed special counsel in May 2017 to investigate a president who, according to the suspicions, may have been compromised by Russians whose meddling helped him win the election. 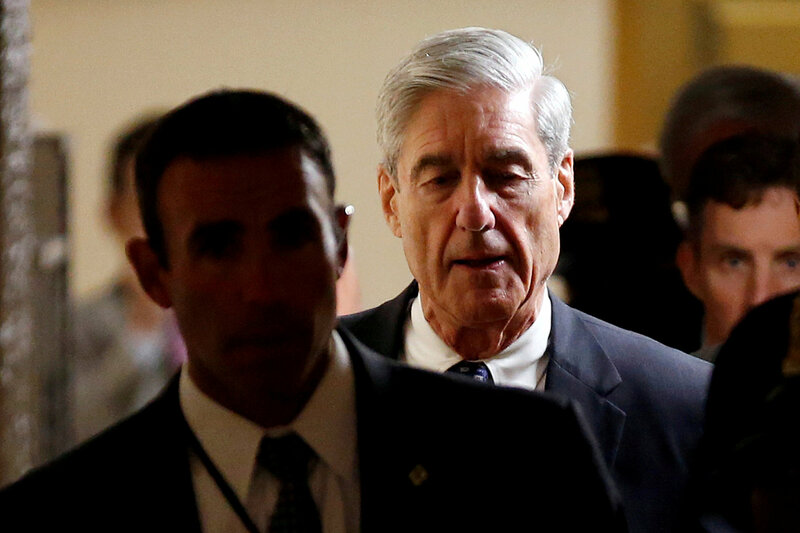 Since then, the enigmatic and stately Mueller, 74, has been a dark cloud over Trump’s presidency, and the billionaire commander-in-chief has fought back vociferously, with denials, threats, and character assassination. In a town where leaks are currency and a bully pulpit is power, Mueller has remained silent and invisible, communicating through sporadic indictments that have repeatedly signaled evidence of possible wrongdoing reaching into the Trump administration’s inner circles. Mueller submitted his report on Friday — 674 days after his appointment — U.S. Attorney General Bill Barr announced. There was no immediate indication of whether Trump or members of his family or former campaign advisors were implicated in collusion or obstruction but Barr indicated that he may be able to summarize its “principal” conclusions in the coming days. The announcement capped two years during which Mueller’s team of seasoned counterintelligence agents, financial forensics specialists and organized crime prosecutors worked with uncommon speed for such a sprawling investigation to open and close cases. Most of the rest — that’s more than two dozen Russians Mueller charged with conspiracy to meddle in the 2016 election — are unlikely ever to face trial. 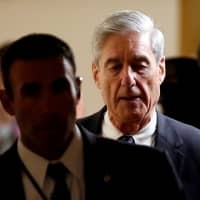 Mueller’s team has been aggressive and focused, reflecting his reputation as a gruff taskmaster who demands speed and precision. “His out of control band of Angry Democrats, don’t want the truth, they only want lies,” Trump huffed. The onetime U.S. Marine served both Republican and Democratic presidents and was a patrician of the Washington bureaucratic establishment, deeply trusted to do the right thing no matter who that would upset or disappoint. “I think Bob Mueller is an American hero,” said Ty Cobb, who served as a top White House lawyer tasked with protecting the president during the first year of the Trump administration. In two years he was seen in public only a handful of times — at a restaurant, in a Washington Apple Store getting tech help with his wife and once, portentously crossing paths with Trump’s son Don Jr. in Washington’s National Airport. He spoke only via the details of court filings in each case, thousands of pages that offered a steady flow of puzzle pieces of what had the potential to become a big, coherent picture — or not. In sketches on “Saturday Night Live,” he was played by Robert DeNiro as an all-knowing, omnipresent threat. “I’ve got my eyes on you,” he signaled menacingly to Alec Baldwin’s nervous Trump in one sketch. For a Washington transfixed by a man they never saw, DeNiro’s Mueller became, for many, the real thing.